The DNA studies of the 1990’s frequently compared the African violet to a closely related plant, the African Primrose or genus Streptocarpus. In fact, African violets were found by DNA comparisons to be very closely related to the subgenus Streptocarpella within genus Streptocarpus. 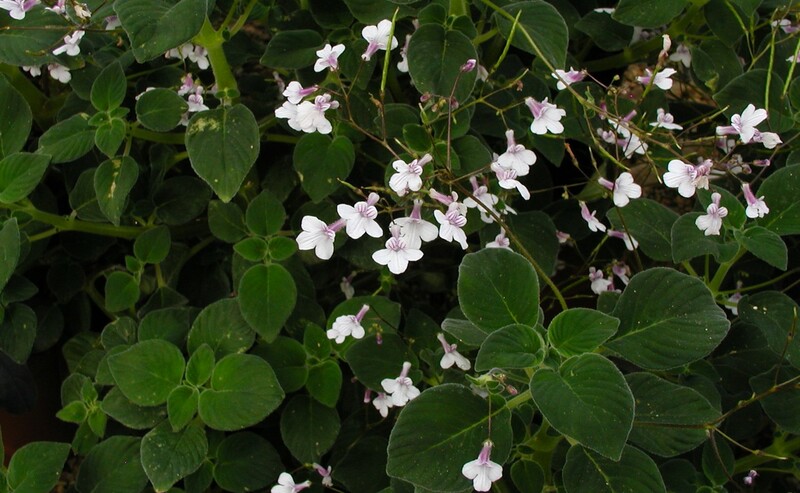 This genetic similarity led to a publication by Maarten Christenhusz in 2012 combining African violets into six species under genus Streptocarpus, including the two new plants of Haston, Mejissa and Watkins. The subspecies proposed by Darbyshire were also maintained under this system. However the genus name Saintpaulia had been replaced. Species names were corrected for gender agreement with the new genus name Streptocarpus and the species name pusilla was replaced with afroviola because of priority conflicts. Streptocarpus pallidoflorus, a member of subgenus Streptocarpella, at Wisley RHS greenhouses, UK. Saintpaulia is now known to be very closely related to the Streptocarpella subgenus of Streptocarpus. Note, however, the twisted seed pods on this plant at top center, and the long stems clearly visible to the left. Both are characters that were previously seen as separating Streptocarpus from Saintpaulia.